1st: Mauer grounded out to first. 3rd: Mauer flied out to left. 5th: Mauer hit sacrifice fly to right, Cave scored. 8th: Mauer flied out to left. 1st: Rosario fouled out to right. 3rd: Rosario flied out to center. 1st: Escobar lined out to second. 3rd: Escobar singled to center, Escobar out stretching at second. 2nd: Morrison flied out to center. 4th: Morrison flied out to center. 6th: Morrison flied out to right. 9th: Morrison lined out to second. 2nd: Dozier homered to left (350 feet). 6th: Dozier struck out swinging. 9th: Dozier flied out to right. 2nd: Kepler grounded out to second. 4th: Kepler popped out to third. 6th: Kepler flied out to center. 9th: Kepler grounded out to second. 5th: Garver singled to deep left. 7th: Garver struck out swinging. 2nd: Cave flied out to left. 5th: Cave singled to center, Garver to second. 7th: Cave struck out swinging. 3rd: Adrianza homered to center (404 feet). 5th: Adrianza singled to right, Garver scored, Cave to third. 7th: Adrianza grounded out to first. 3rd: Moncada tripled to deep right center, Engel scored. 4th: Moncada flied out to right. 6th: Moncada popped out to shortstop. 8th: Moncada grounded into fielder's choice to second, Anderson to third, Engel safe at second on error by second baseman Dozier. 3rd: Sánchez grounded out to second, Moncada scored. 6th: Sánchez singled to right center, L. García and Smith scored, Anderson to third. 8th: Sánchez singled to right, Anderson scored, Engel to third, Moncada to second. 3rd: Abreu hit by pitch. 5th: Abreu struck out swinging. 6th: Abreu struck out looking. 8th: Abreu walked, Engel scored, Moncada to third, Sánchez to second. 2nd: A. García lined out to second. 5th: A. García grounded out to shortstop. 7th: A. García homered to left (398 feet). 8th: A. García fouled out to catcher. 2nd: Davidson struck out swinging. 3rd: Davidson struck out swinging. 6th: Davidson reached on infield single to pitcher. 7th: Davidson struck out looking. 2nd: L. García singled to shallow right. 4th: L. García singled to center. 6th: L. García reached on infield single to second, Davidson to second. 7th: L. García struck out looking. 2nd: Smith walked, L. García to second. 4th: Smith grounded into double play, shortstop to second to first, L. García out at second. 6th: Smith singled to center, Davidson to third, L. García to second. 7th: Smith flied out to center. 4th: Anderson singled to left center. 6th: Anderson walked, Davidson scored, L. García to third, Smith to second. 3rd: Engel safe at first on throwing error by shortstop Adrianza. 4th: Engel singled to right, Anderson to second. 6th: Engel struck out looking. 8th: Engel hit by pitch, Anderson to second. 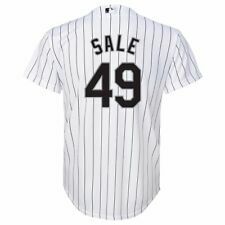 Yolmer Sanchez matched a career high with four RBI, Avisail Garcia hit his first homer since returning from the disabled list last week and the Chicago White Sox came back to beat the Minnesota Twins 8-4 on Tuesday night.